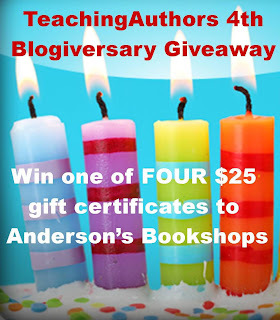 Teaching Authors--6 Children's Authors Who Also Teach Writing: 4th Blogiversary Gift Card Giveaway--Celebrating Independent Booksellers! 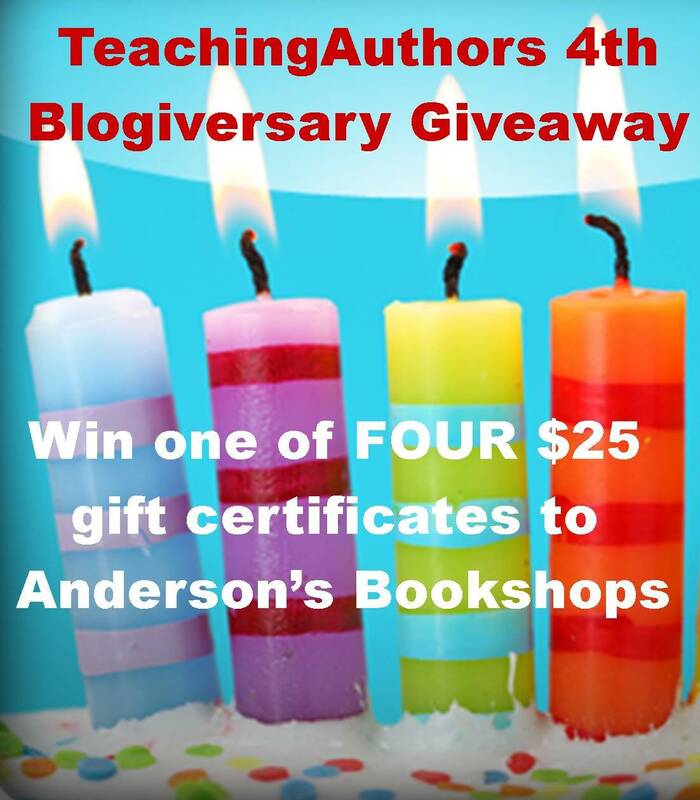 4th Blogiversary Gift Card Giveaway--Celebrating Independent Booksellers! Today, I'm thrilled to announce an extra-special giveaway in honor of our FOURTH BLOGIVERSARY. To show our appreciation to our blog readers AND to one of our favorite independent booksellers, we'll be giving away FOUR $25 gift certificates to Anderson's Bookshops! And, as a bonus, Anderson's is generously offering our winners a 20% discount, which will help defray the shipping costs if you're unable to redeem your gift certificate in person. In case you're not familiar with this family-owned company, in 2010, Anderson's celebrated their 135th year in business, with six generations of the family now working in their stores. Among their many accolades, in 2011, Anderson's was named Publisher's Weekly Bookstore of the Year. Anderson's has a long history of supporting teachers by providing educator resources like mock Newbery contests, arranging author visits, and sponsoring special events such as their upcoming Teacher Open House, where educators can learn about the best new releases for classroom use. And educators always receive a 20% discount off the list price of books to be used in the classroom or library. Anderson's also has a reputation for hosting wonderful (and numerous!) author signings, and for championing local authors. After many years of attending Anderson's marvelous author events, I was honored to have my first signing at the Naperville store when my novel, Rosa, Sola, came out. That day, the Anderson's staff made me feel like a real star! I couldn't help getting a little teary-eyed as I addressed the crowd of family, friends, and fellow writers, telling them what a thrill it was to have my signing in the bookstore that felt like my second home. If you're ever in the Chicago area, I encourage you to visit one of Anderson's stores. But even if a physical trip isn't possible, you can visit them virtually via their website, where you can order print and ebooks online. As you'll see below, the winners of our giveaway will have the option of using their gift certificates that way. ". . . the Christian Science Monitor recently reported [you can read that article here], there are now many indications that a once-beleaguered portion of the bookselling landscape, independent bookstores, are enjoying a “quiet resurgence.” Sales are up this year; established stores, such as Brooklyn’s WORD, are doing well enough to expand and new stores are opening. Indies have been helped by the closure of the Borders chain and a campaign to remind their customers that if they want local bookstores to survive, they have to patronize them, even if that means paying a dollar or two more than they would on Amazon." The Writing Workouts page explains the history and evolution of our Writing Workouts, and allows you to access all of them from one place. I've also shortened the names of our resources pages to simply "For Teachers," "For Young Writers," and "Visits." And I've updated our bios on the About Us page. I hope you'll take time to explore these revised pages and give us feedback on what you think of the changes. 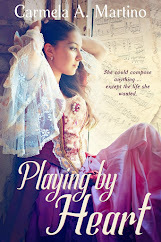 You may also notice a new button in the sidebar labeled "Follow this blog with bloglovin'." I recently learned that Google will be retiring Google Reader on July 1, 2013, and I wanted to provide other options for those who currently read our posts via Reader. Bloglovin' allows you to easily import all the blogs you currently follow with Google Reader. I've also seen positive reviews of the RSS service Feedly (see, for example, this recommendation in Jane Friedman's newsletter, Electric Speed), so I've included a Feedly link in the sidebar, too. You can read a quick comparison of Bloglovin' vs. Feedly here. 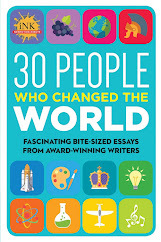 Before I explain how to enter the giveaway, I want to share a poem the AMAZING April Halprin Wayland wrote in honor of our blogiversary, which actually falls on Monday, Earth Day. A special "thank you" to all the readers who have stuck with us here at TeachingAuthors "post by post, year by year." As I said at the beginning of this post, in honor of our Fourth Blogiversary, and to celebrate independent booksellers, we're giving away FOUR $25 gift certificates to Anderson's Bookshops! Note: if you're unable to redeem your prize in person at one of Anderson's stores, you will be able to do so online. AND, you'll receive a 20% discount on your purchase! Please bear with us as we try something new for this giveaway--we're using Rafflecopter for the first time. If you've never entered a Rafflecopter giveaway, you may want to read their info on how to enter a Rafflecopter giveaway and/or the difference between signing in with Facebook vs. with an email address. Once you've logged into Rafflecopter below (via either Facebook or an email address) you'll see that we've provided four different options for entering the giveaway--you can pick one or up to all four. The more options you choose, the greater your chances of winning. While we haven't made it a requirement, we hope that everyone will choose to subscribe to the TeachingAuthors blog. If you're already a TeachingAuthors subscriber, you need only click on the first option and tell us how you follow our blog to receive FOUR entries in the giveaway. As it says in the "Terms and Conditions," this giveaway is open to U.S. residents only. You must be 18 or older to enter. And please note: email addresses will only be used to contact winners. The giveaway will run from now through the end of Children's Book Week, on May 19. Winners will be notified May 20, 2013. I hope that covers everything. But if you have any questions about the giveaway, feel free to email us at teachingauthors [at] gmail [dot] com. Good luck to everyone! And don't forget--it's Poetry Friday. 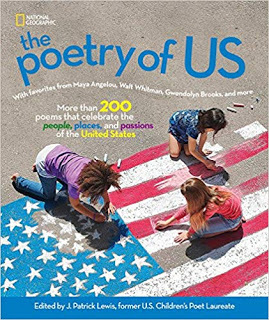 When you're done entering our giveaway, check out the Poetry Friday round-up over at Live Your Poem. Last time I treid to do this with Raflecopter, I said I had posted the comment and I couldn't find any way to do so. Congratulations on your 4thyear. I think our 4th year starts in October. I love the poem. I wonder if April would let us use it for our Blogiversary. We would of course, credit April and Teaching Authors. Blog on, dear friends. 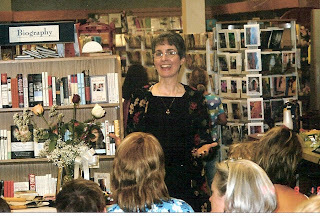 My favorite local books stores are Once Upon a Time in Montrose, CA where we met Allyn Johnston and Marla Frazee and The Flintridge bookstore in La Canada, CA which provides fabulous author events. Dear Pen and ink Gang! Yes, you may absolutely use the poem to celebrate your 4th blogiversary. I am thrilled. Pen and Ink Blogger--congrats on posting your comment, and on being the first to enter our giveaway! Thanks for sharing about Once Upon a Time. Congratulations on four fabulous years blogging! I always enjoy your posts. Congratulations on your blogoversary! May your blog continue to bloom! Wow-congratulations to all of you! It's quite something to say four years, and still counting! So much to be grateful for! I love your poem April & your 'word work' is clever to include creating as well as revising (all those pesky adverbs!). I appreciate reorganizing all the links, Carmela. 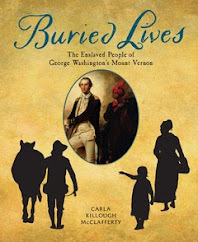 This will be a terrific resource. Best wishes to everyone! We have several Indie bookstores in the Denver area, but a favorite place to spend more dollars is The Tattered Cover. I have heard so much about Anderson's that I subscribe to their newsletter-fun to hear from them & perhaps someday I will get there! Thanks, Linda. I love the name Tattered Cover. :-) Let me know if you ever make it to Anderson's--maybe I can see you there! I always enjoyed Words Worth Books in downtown Calgary. A messy little place with winding stacks and a grumpy guy at the till. Spent many hours in there, very happily. Happy Blogiversary! I am so happy I found this great resource. My favorite independent bookstore is Books Along the Teche right in downtown New Iberia. When I was looking for independent bookstores in nearby cities to sell my books, I couldn't find any. Not one in Lafayette and one used book store in Baton Rouge. I am very grateful to Maple Street Bookstore in New Orleans and Lemuria in Jackson, Ms. for holding book signings. I'll be in Chicago this summer visiting my daughter so I plan to visit Anderson's. I love the poem! Thanks for always having great ideas. I remember visiting Anderson's booth at IRA conferences. They always blew me away with the choices. I can't imagine visiting the store, an item for my bucket list. Congratulations on reaching a milestone. Continuing to write good information on a blog is hard work! Thanks for all the great tips over the years! Wowie, congratulations on your anniversary! That's a lot of great posts! Keep 'em coming! Elsie, I think it's great that visiting Anderson's is on your bucket list. Hope you get there soon. Kym and Kate, thanks so much for the congratulations. Hope to see you both soon. I'm so proud of my blog and fellow bloggers! I so appreciate our readers, those long-time, those new. Congratulations!!! I loved your poem --- especially this line: "Sowing words on glowing screens." Thanks for so much information in your post. I haven't heard of Bloglovin' and will look forward to reading the comparison to Feed.ly. I'm not sure what I'll do without Google Reader. I'm so excited about your Anderson's Give Away. I live near Columbus, Ohio and love going to Cover-to-Cover. I've always wanted to visit Anderson's as I always "visit" when they are at NCTE. I've yet to visit Anderson's live, but it's on my list! Thanks for sharing about Cover-to-Cover, Cathy. And welcome, Sera. My two local indies are Pages in Manhattan Beach, CA and Mysterious Galaxy in Redondo Beach. My hats off to both these fab stores! Yellow Book Road in San Diego - the best children's bookstore around! Congratulations on your Blogiversary! 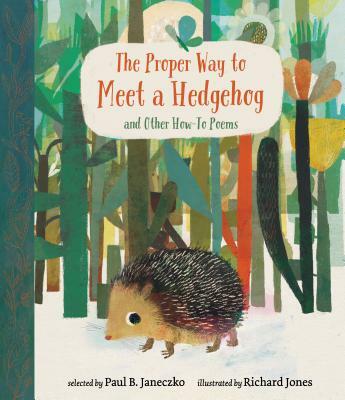 All your blog posts add thoughtful content about children's literature. I appreciate the reorganization of links and am going to try to pay more attention to Wednesday Writing Workout. Thanks for the feedback, Joyce. Let us know if you find any of the workouts particularly helpful. A Room of One's Own in Madison, Wisconsin. It's got a great vibe and a really nice selection of titles. Thanks for telling us about another great independent bookstore, Pat! So glad to have found you from Linda, over at Teacher Dance!! Looks like I have something to occupy my reading and writing time in the upcoming days! Excited to check out your writing workouts!! Oh! And I am in Minneapolis, and in love with Rumphius Books! island Books is our local indie. They carried my students' genre brochures several years ago. I love to spend time and money there. I'm glad you found us too, JenB. Thanks for sharing your indie favorite. Welcome, Ramona. Could you tell us what town Island Books is in? Congratulations on your blogiversary. I love Hickory Stick Book Shop in Washington, CT. and Creekside Books in Skaneateles, NY. Your poem is a delight, April! I am so happy to be able to follow the bloggers! Wish I had found you longer ago, but now's all that matters. Hooray. Thanks for sharing not one, but two, independent bookstores with us, skanny17. And we're glad you found us! Happy Blogiversary! 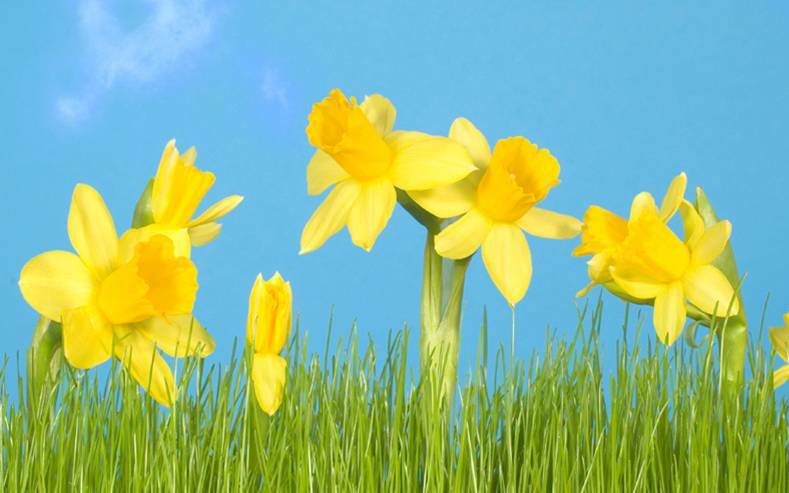 April's poem is delightful! Unfortunately, we don't have an Indie in our town. That would be a dream come true. I would love to have one in Abilene, TX. Thanks for the giveaway. Congratulations!!! You are awesome! I love Anderson Bookstore in Naperville, IL. I frequent it often with the family! Happy Blogiversary! Fun poem and great post. Thanks for all the pearls of wisdom!